On Saturday 19th May Amika were invited to do a concert as part of the Burbage Community Arts Festival. So, in the afternoon of that day, everyone got together to car share out to the pretty village of Burbage, just outside Leicester. When we arrived we all had a cup of tea and caught up with each other in the convivial way that we always do! Una May arrived, feeling rather unwell with flu but she was still committed to the show, and battled on for us. If there is one thing that is always true – it is that there is never enough time to rehearse, so we flew through the beginnings and endings of our repertoire. 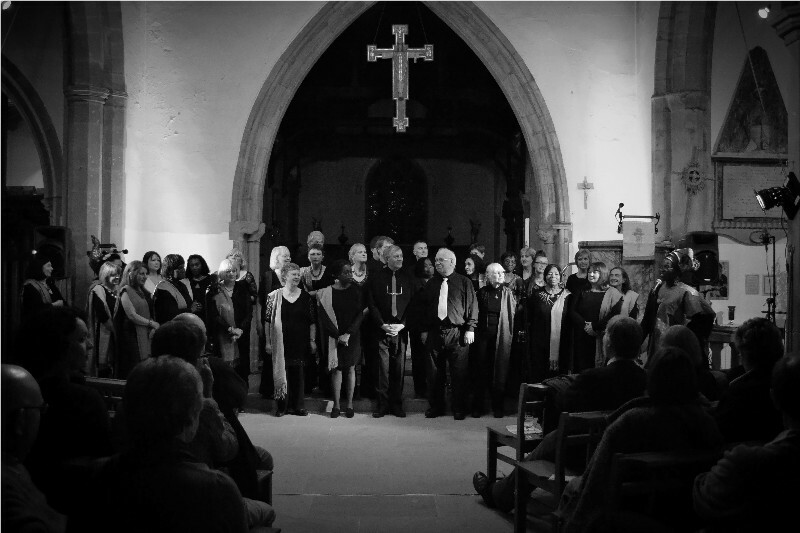 We didn’t have to work very hard to make beautiful sounds in that lovely church, which had fantastic acoustics, although the organisers of the festival came up trumps and provided microphones, which were to come in handy for the soloists during the performance. Also it has to be said that we had been practising for this show for quite a few weeks, so we were well-prepared. The concert started at 8pm. The church was not full, but on this occasion it was a case of quality rather than quantity!! The audience was definitely ready to have some fun with us! Una May got everyone singing, clapping – dancing! There were big smiles coming back to us, which are always so lovely to see. They just seemed to love everything we did, and our response was to do a great performance. There was great conducting from Cee and Della as well as Una, and the soloists all did their best. It was smooth, professional and joyful team work. As we left, one of the organisers told me that we had ‘blown them away’. It was a fabulous evening, and I am sure I am speaking for everyone when I say that we will be happy to bring our music to the festival again next year. 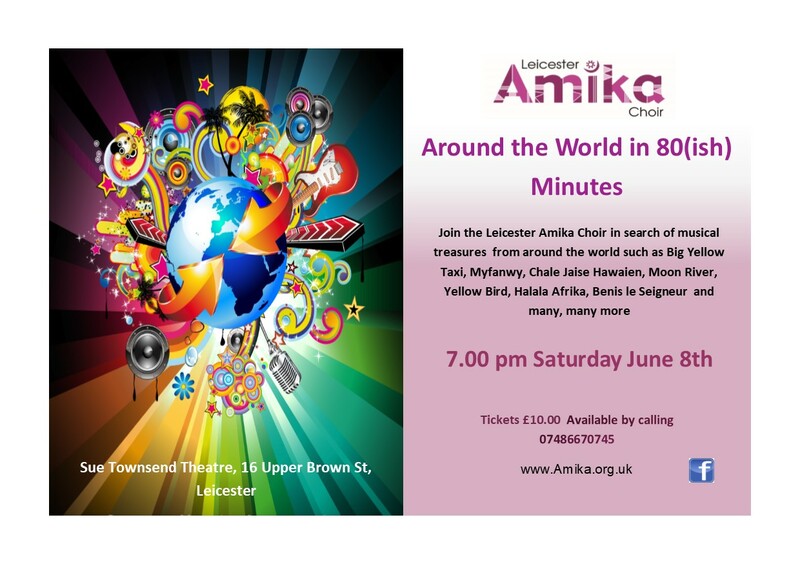 Most of the money has been counted and we can say a big well done to members of Leicester Amika Choir who have raised a staggering £1370.99 for Water Aid. This fantastic total is £400 more than last year. Needless to say we are aiming even higher for 2013 and the fundraising and ideas have already started to flow. Well done once again to all members of the choir who have been put in a lot of effort to raise money for this worthwhile cause.